Currently viewing the tag: "Kill the Eternal"
What the hell is THIS? A metal-core band I actually like? Impossible! 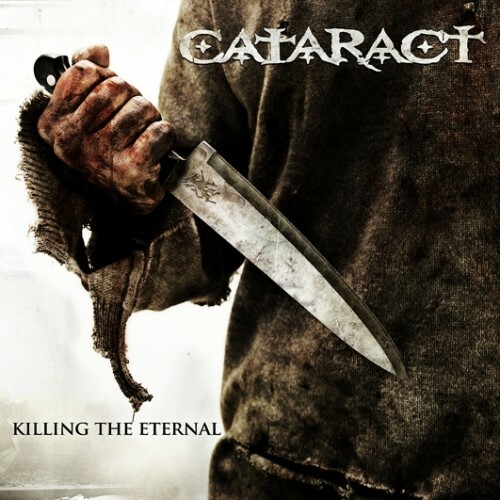 Well, like may be too strong a word here but Killing the Eternal, the sixth album by Swiss metal-core mavens Cataract is much less annoying and cringe inducing than most of the metal-core I've been subjected to over time. Perhaps this caught me in a rare moment of good humor, or maybe Cataract have learned over their long existence that their bread is buttered on the death/thrash side of things. One thing is for certain, Cataract manage to avoid many trappings of the classic "core" sound that I find so irritating, and as a result, this is a fairly tolerable, and at times, even enjoyable album.